Adobo is an all purpose seasoning or rub that adds flavor to meats. It is used mainly in Puertorican cuisine. There are other kinds of wet (marinades) and dry (rubs) adobos in Latin America and Spain. I like making my own adobo. It is not hard at all, so give it a try. The oregano I use I grow in my herb garden, dry it and ground it, but you can find ground oregano in the supermarket. This mix doesn’t include pepper but if you want you can add to taste. This is my version of Adobo Criollo. 1. In a small bowl mix all ingredients well. 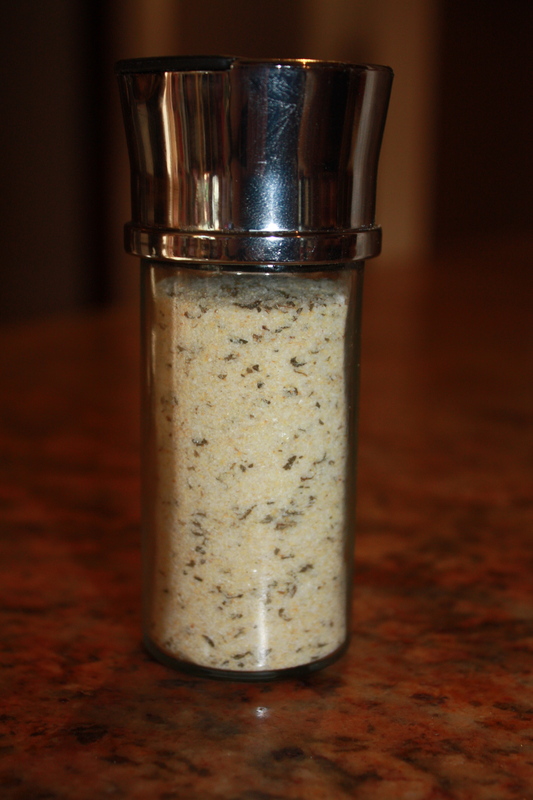 Store in a medium sized shaker in a dry place. 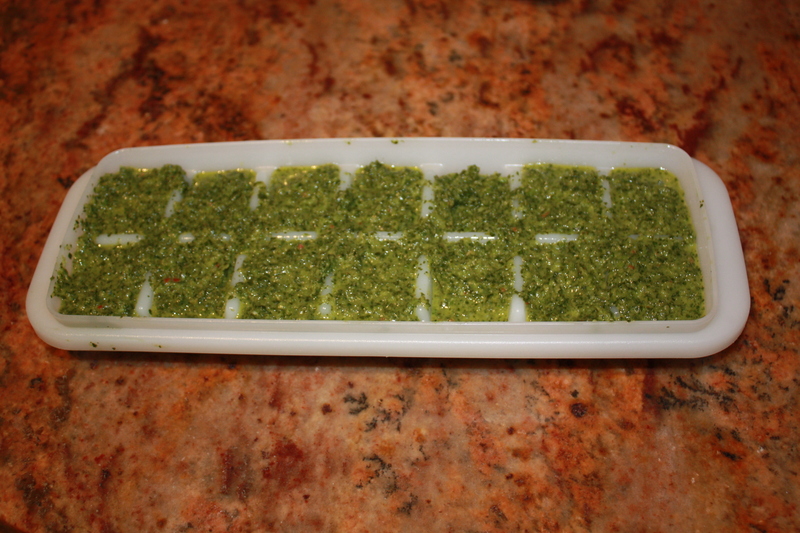 Recaito is the typical seasoning base for many Puerto Rican dishes. 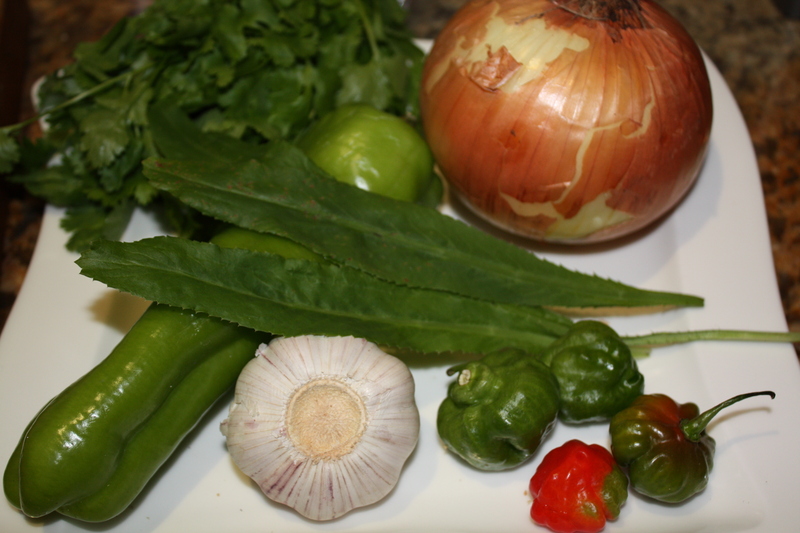 It is key to making “sofrito” for arroz con pollo, carne guisada, stews, soups and beans among others. Recao or culantro, is a long aromatic herb. Home made recaito is absolutely delicious. I dare to say every puertorrican has (or at least should) recaito in their fridge. My friend Bea says her kids always eat the food she prepares with my recaito and has asked for a lifetime supply. ja! I grow my own recao and make this batch about every two months and freeze most of it in several ice cube trays that have lids. That way I use as many recaito “ice cubes” I need for a recipe. 2. Put all ingredients in food processor and pulse until all ingredients are very finely chopped. Almost pureed.